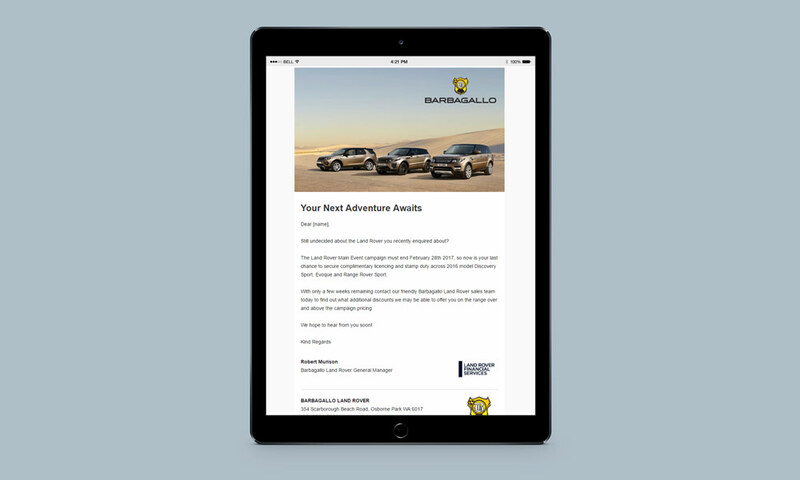 EDMs were designed & developed for Barbagallo Landrover & Jaguar’s digital marketing communications through dealership software developer,Vital Software. Vital Software is a Dealer Management System developer who offers a platform for distributing EDMs for dealers. Melbourne Creative works with Vital Software in the design & development of EDMs for car dealerships.